When siblings Varya, Daniel, Klara and Simon Gold are bored during their 1969 summer vacation, they visit New York City’s Lower East Side to meet with a traveling psychic who tells each of them the date they will die. The siblings leave the psychic in a daze of confusion, sadness, and anger but do not share with one another the dates they’ve been given nor discuss the experience for years to come. From that day forward, those dates haunt each sibling and serve as the subconscious basis for the shaping of their futures. As young adults, the four siblings spend one last night together after their father’s funeral. Finally, they reflect on that summer day in 1969 and share their mutual disbelief in their prophecies. Shortly thereafter, as a gay teenager, Simon runs off to San Francisco with Klara where she has decided to begin her career as a magician. Varya and Daniel, who both refuse to believe the prophecy, go off to college and become a doctor and a longevity researcher, respectively. The book is divided into sections for each Gold sibling whose stories and inevitable deaths get more and more convenient to the theme of the book with each telling. 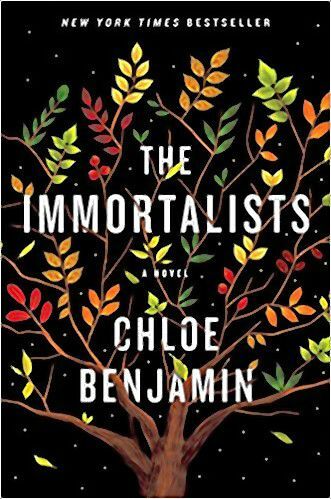 While Benjamin’s writing is enjoyable and the concept is quite interesting, the inevitable death of each sibling feels abrupt and the outcome is too predictable.